The potential energy surface for the reaction of a typical molecular system composed of N atoms is defined uniquely by 3N-6 coordinates. These coordinates can be defined by the Cartesian coordinates of the atomic centers (minus overall translation and rotation), or a set of internally defined coordinates such as bond stretches, angle bends, and torsions. By applying principal component analysis to the geometries along a reaction path, a reduced set of coordinates, d ≪ 3N-6, can be obtained. 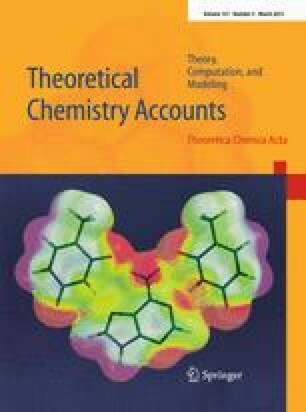 This reduced set of coordinates can reproduce the changes in geometry along the reaction path with chemical accuracy and may help improve the efficiency of reaction path optimization algorithms. This work was supported by a grant from the National Science Foundation (CHE0910858). Wayne State University’s computing grid provided computational support.